Meeting immigrants and refugees. Contact your local Catholic Charities agency to learn how you can join or support their programs that serve immigrants and refugees. 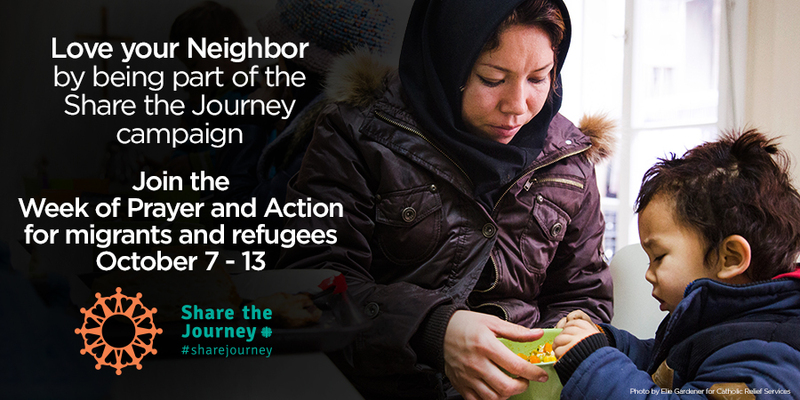 Learn more about and get involved in the “Share the Journey” global migration campaign at sharejourney.org.